Dr. Phelan has been in practice since 1992 and continues to have a passion for helping people heal. The combination of his warm, professional manner and analytical thought process allows him to clearly explain his patient’s condition and treatment. Dr. Phelan’s approach is to begin with the most conservative treatment that can quickly and naturally relieve his patients’ most acute levels of pain. Then he will work with his patients to heal and strengthen their bodies to reduce the chance of re-injury. Because Dr. Phelan is knowledgeable, honest, and practical, many of his patients come to see him when they feel sick or are in pain. As a result of this dynamic, Dr. Phelan often teams with his patients’ primary care physicians, specialists, massage and physical therapists. To provide his patients the best possible care and to facilitate his communications with other medical professionals, Dr. Phelan is pursuing a post graduate degree in Chiropractic Internal Medicine. The list of honors and awards received by Dr. Phelan provides insight as to how very committed he is to helping the community at large and to donating his time and energy to support the many causes that are important to the North Carolina chiropractic community. In recognition of his contributions, The International College of Chiropractors (ICC) honored Dr. Phelan in 2009 by inducting him as a Fellow. The ICCI Fellow designation (FICC) is bestowed upon those whose contributions have made, or will make, significant impact upon the science of chiropractic, and also to those who render valuable and meritorious service to the profession. 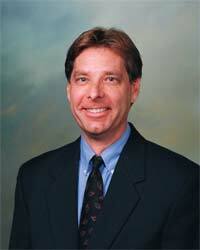 An avid sports enthusiast, Dr. Phelan enjoys barefoot running, surfing, sailing, and bicycling. Phelan, SP, Armstrong R, Knox D, Hubka M, Ainbinder D. Journal of Manipulative Physiologic Therapeutics 2004; 27 (7): 442-8. Phelan SP. NCCA Publication 2000. Second edition 2003. Third edition 2007. Hubka MJ., Phelan SP. J Manipulative Physiol Therapeutics 1997; 20(9):622-7. Hubka MJ, Phelan SP. J Manipulative Physiol Therapeutics 1994; 17 (9) :591-4.